One of the main reasons I love Gmail is that you can archive emails, but still keep them forever. If I really wanted to, I could look back at email exchanges between my husband and I that we sent back when we were still “just friends.” I can easily find emails I’ve received from with my accountant and doctors. Things like tickets, receipts, and itineraries are all still there. Monday morning, I was at 14.8 GB, or 99% of my limit. After that, you have to pay. The cheapest plan is $19.99 per year for 100 GB of space and that seemed unnecessary considering how much garbage I have in my inbox. 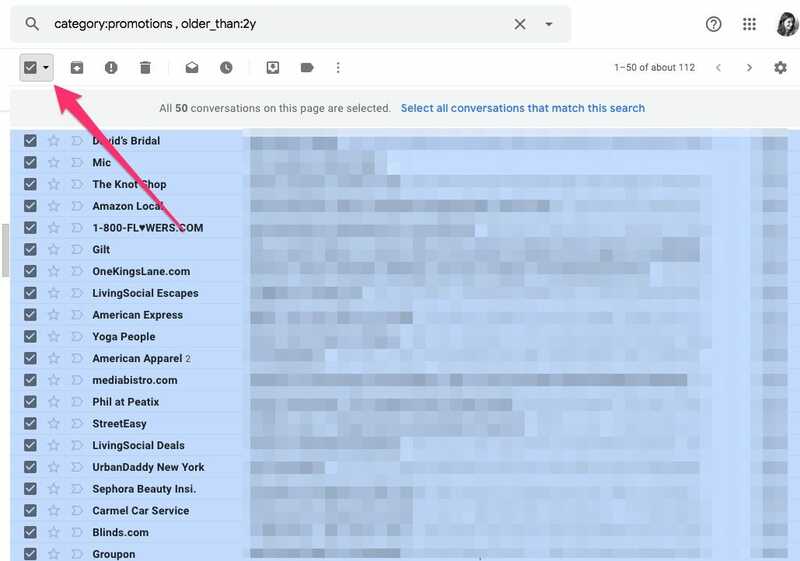 If you’ve reached your max and need to clear out space quickly, you’re going to want to find a way to delete emails en masse. The best way to do that is to set some parameters so you can bulk delete emails you don’t need anymore. Google already does a great job of grouping emails into helpful categories. The “promotions” category includes all of those emails from services like Groupon on retailers like J. Crew. I hardly ever open these emails because I get a ton of them and I tell Gmail to filter them out of my primary inbox. 4. Then, click the trash can icon. 5. Now, your work here isn’t done. You still have to delete the emails from your trash. When you delete emails, Google saves them for 30 days in your trash. 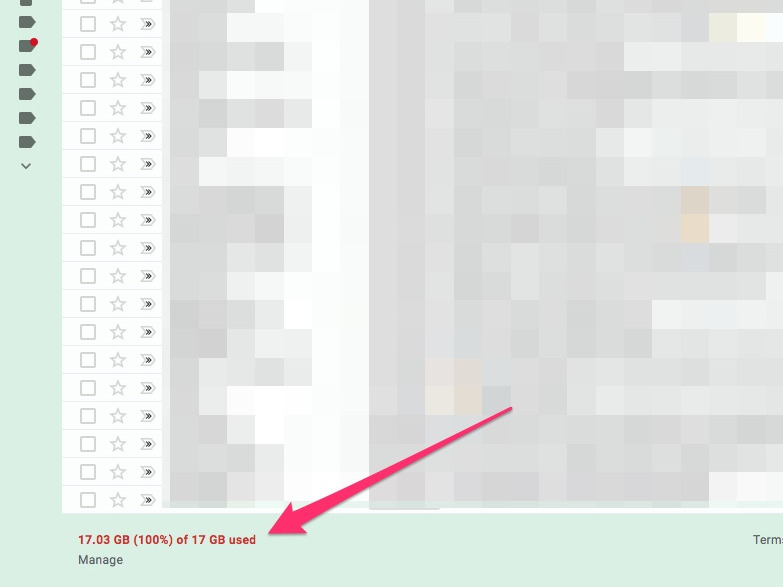 If you want to clear space in your Gmail, you need to make sure you delete these emails from your trash, like so.